The triangular main piazza of Greve is very likely the site of the original market place around which Greve has grown during the past 500 years. One of its attractions are the arched loggias that line its three sides, providing welcome shade to shoppers during mid-summer. 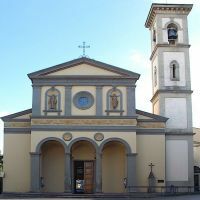 The Church of Santa Croce, which houses some beautiful paintings of the school of Fra Angelico, is located at the southern apex of the piazza, and a lane of shops leads off from the northern side. 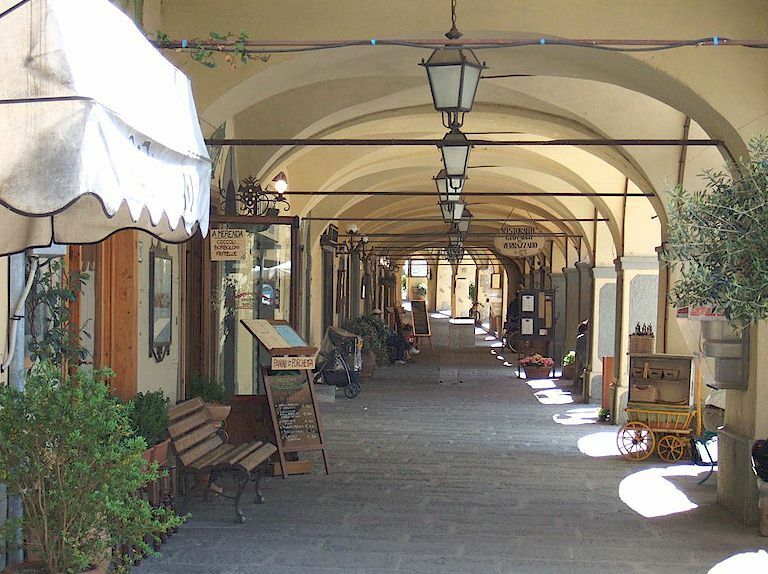 Today Piazza Matteotti is the commercial centre of Greve and has a good range of interesting shops selling wine, ceramics, furniture, handicrafts and food supplies of all kinds. There are also several restaurants. The Coop supermarket is a three minute walk away. On Saturday mornings the piazza hosts a large open market selling fruit and vegetables and a considerable range of clothes, as well as tools, kitchen items and so on. The excellent public swimming pool of Greve in Chianti is an easy 20 minute walk from Piazza Matteotti. A fine statue of Giovanni Verrazzano dominates Piazza Matteotti and there is bronze sculpture in dubious taste located appropriately near the main doors of the city council building. 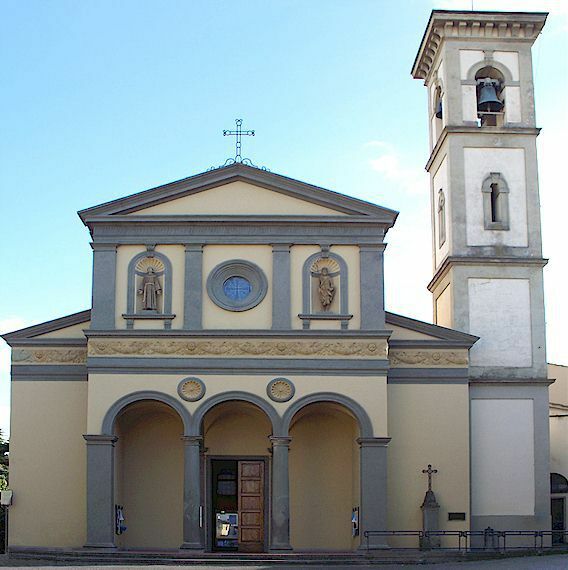 Throughout the year, various events are held in the piazza, the most interesting being the antiques fair, the Chianti Classico wine festival and the flower festival. For those who would like to spend some vacation time in this lively ambience, we offer several attractive vacation apartments right on or very near the piazza, and hence within easy reach of all the restaurant possibilities offered by Greve and only five minutes walk from the Florence bus stop. La Casina is a holiday apartment for 2 (+1) persons situated two minutes walk away from Piazza Matteotti. It has a double bedroom, a living room with sofa bed, a kitchen, a bathroom and a terrace area for al fresco eating and relaxation, a spacious private garden and off-road parking. More about holiday apartment La Casina. Bed & Breakfast "Nella Piazza" offers three large and comfortable vacation rooms for 2 or 3 persons. We are located on the second floor looking out directly onto the main piazza of Greve. Behind the house is our quiet terrace where our guests may have their breakfast and relax at any time of the day. A well-equipped kitchen is also available for those who wish to have their dinner at home. More about Bed and Breakfast "Nella Piazza". 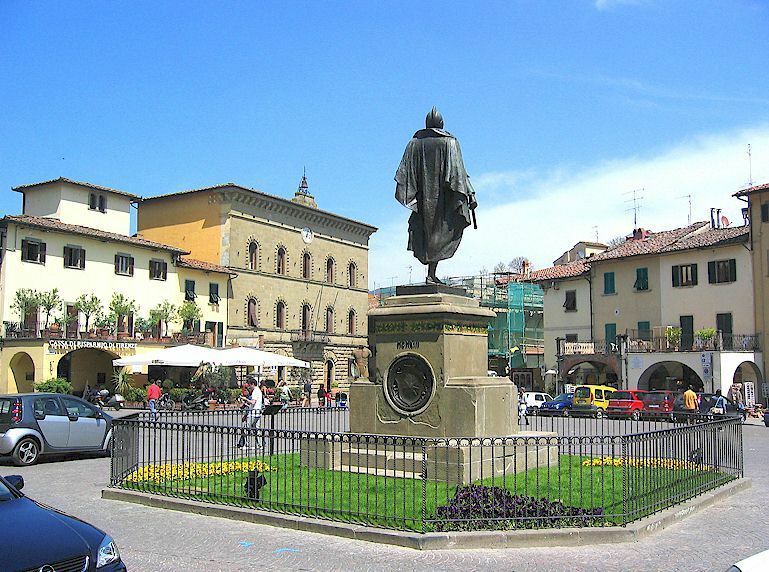 The tiny hamlet of Montebeni is within easy walking distance of the main piazza of Greve in Chianti and of the stop for buses to and from Florence. We offer three, newly-renovated, vacation apartments for 2, 3 and 5 persons. The apartments are fully-equipped and have spacious, modern bathrooms. The elevated location provides fine views and cool breezes in summer. More about Montebeni vacation apartments. 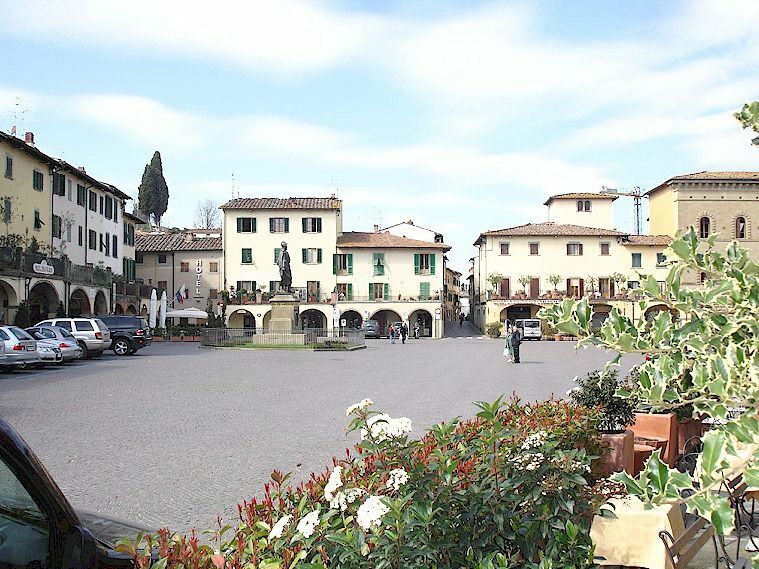 Vacation Apartments "Alessandro" in Greve in Chianti consists of two modern apartments for 2 (+2) and 4 (+2) persons within a 15 minute walk of the main piazza of Greve in Chianti and of the Greve to Florence bus stop. There is a large terrace suitable for dining in the open air and we offer special menus for our guests at our pizzeria, "La Cantina". More about Vacation Apartments "Alessandro" . Here are our favorite shops on Piazza Matteotti - take a bit of time to look and you will uncover some wonderful treasures to take back home.